Have you already owed a loan from a bank which is unpaid due to several complicated reasons? This happens to many people because life is not a plain road, you have to go through several zig-zags that may fluctuate life. In such kind of situations, only two options remain in someone’s life. Either to quit and be recognized as bankrupt or repair fight back to bring back your financial status on the track. For this purpose, you can hire some credit repair agencies that take responsibility to recover your account from bad debtors list. If you want to repair your bank account status after bankruptcy, it is important to know how to raise my credit score with all possible methods. Scroll down to gain more information regarding this matter. Accounts coming in this criteria represents very risky borrowers who have the worst track record in returning back the money. Creditors always ignore these accounts because of the bad track record with previous lenders. Getting a new credit card after bankruptcy is completely impossible. Even if someone gets ready, they will impose hard terms & conditions such as a very short termed loan with a heavy interest rate. However, there are only a few chances to find a financial institution where you can apply for a loan with this level of credit score. An account coming in this range is also not considered as a good candidate for lending money. Just like the accounts below 579, these accounts are also considered as risky debtors. This is the average score of an account eligible for getting a loan faster. 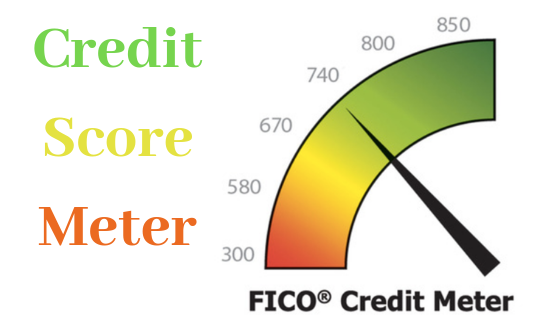 People with this level of credit score are the main targets of financial institutions. They receive a maximum number of phone calls and emails for loans. These are the most reliable people having a good track record in getting a loan and returning it back on time. They never miss any installment and return back without delaying or any other dispute. On the basis of their previous record, their credit score increases above 740. A credit score above 800 comes in an exceptional case and only a few accounts come in this category. Creditors always stay ready for lending money that too at the lowest interest rate and installments size as per their convenience. What to do with a bad credit score? It’s ok if you have a credit score above 669, but what if it is below and no financial institution is getting ready to trust. Rebuilding credit after bankruptcy is very difficult if there is no one backing you with technical support. For this purpose, many online credit repair agencies are there to assist you. They negotiate with creditors on your behalf to remove your name from the list of defaulters. You call them or visit the agencies physically to ask how to rebuild credit after bankruptcy. A team of professionals will analyze the situation of your account, build a roadmap and follow it to get you out of the worst situation.